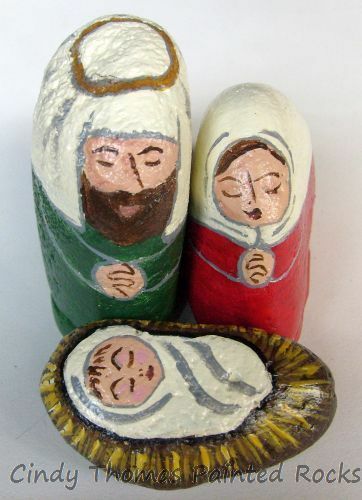 The Gallery features nativity sets which have found new homes. 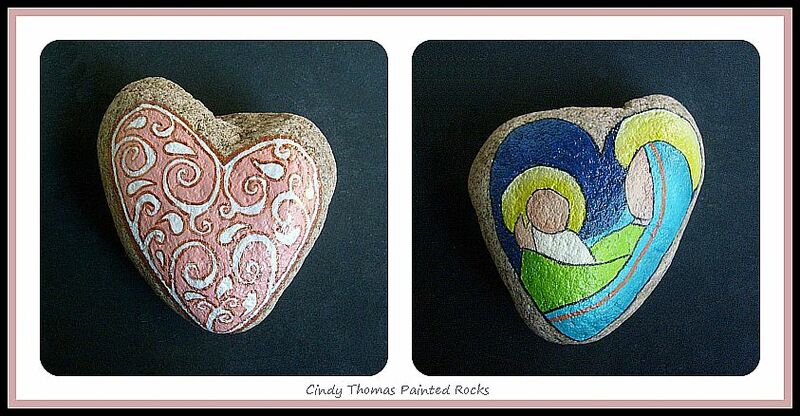 are completed and added to my store. 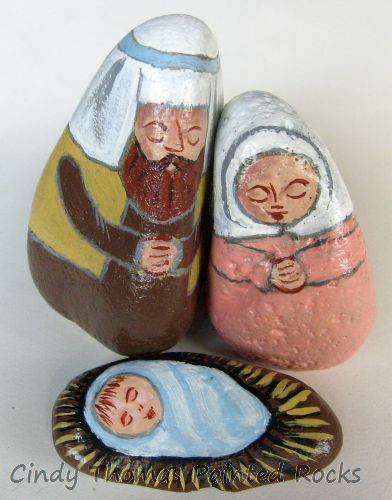 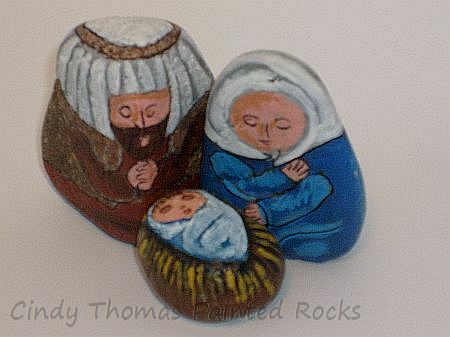 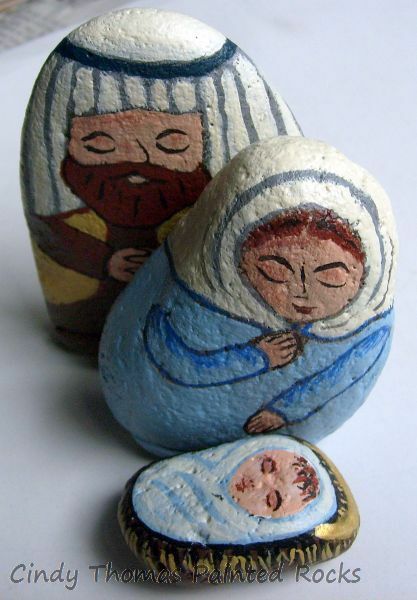 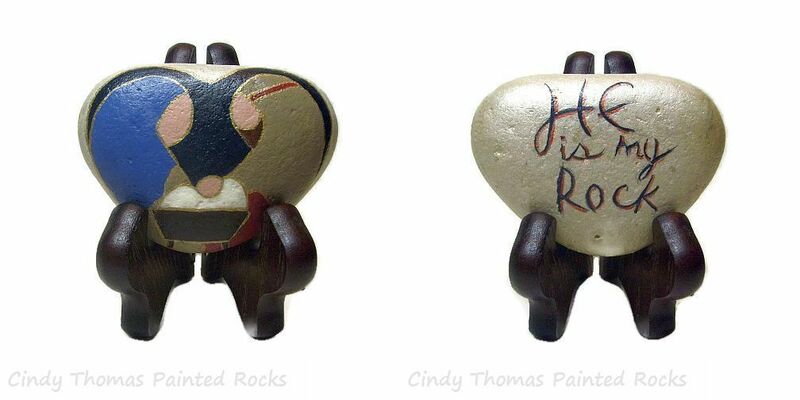 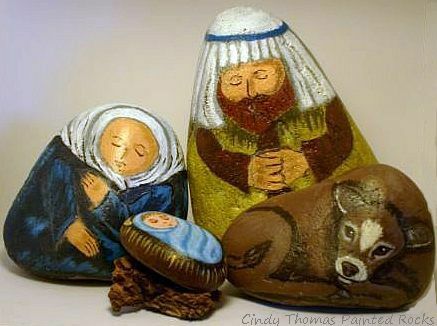 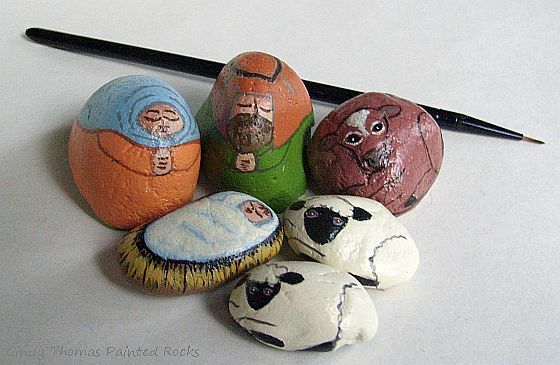 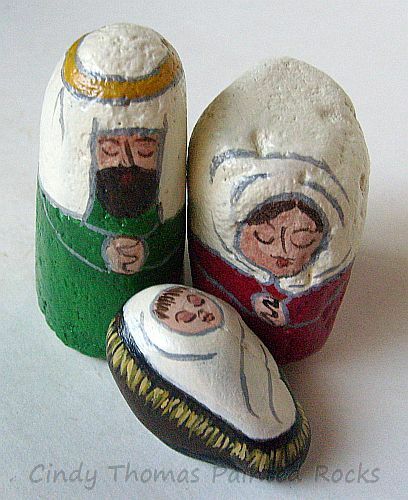 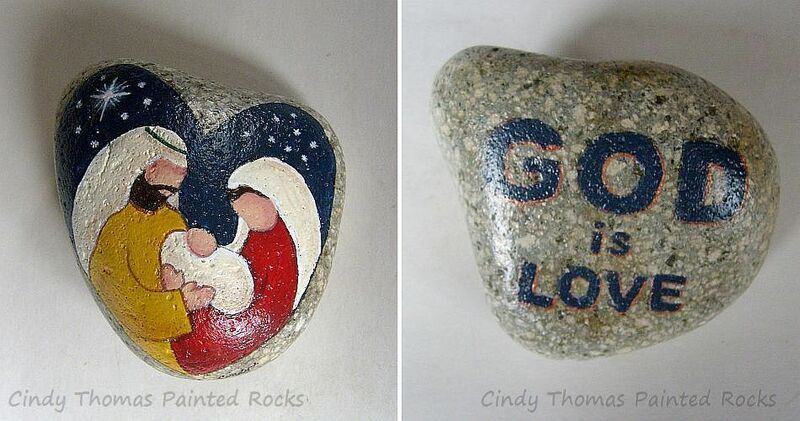 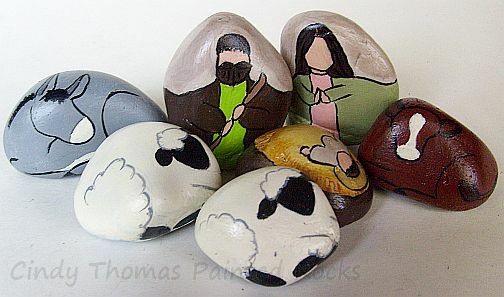 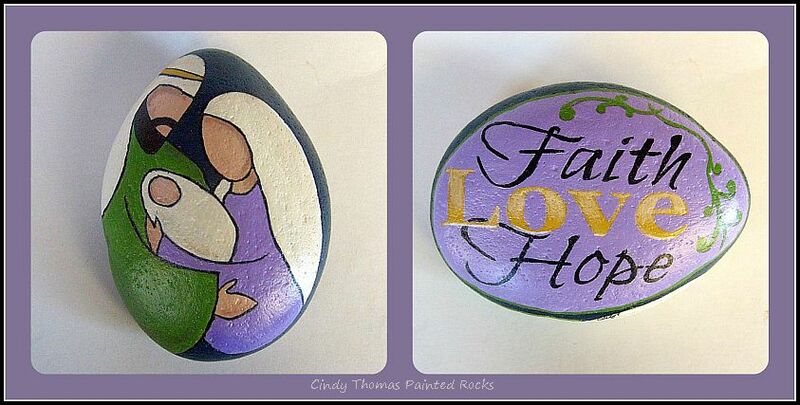 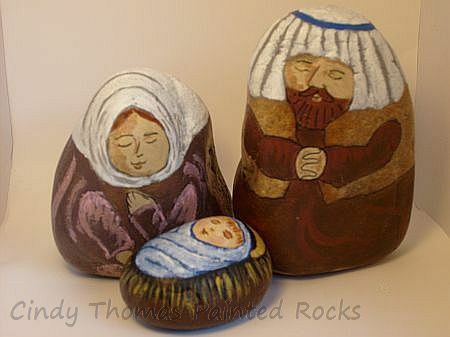 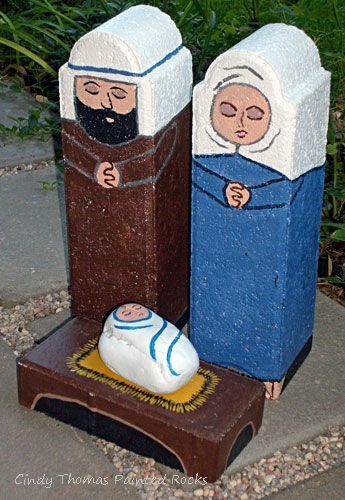 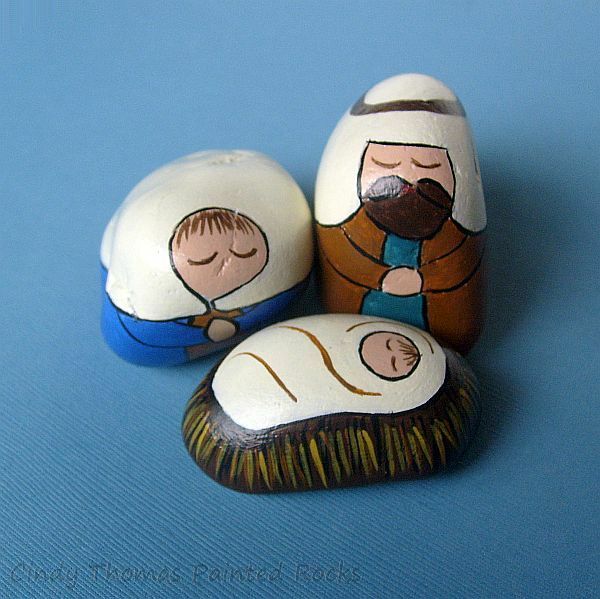 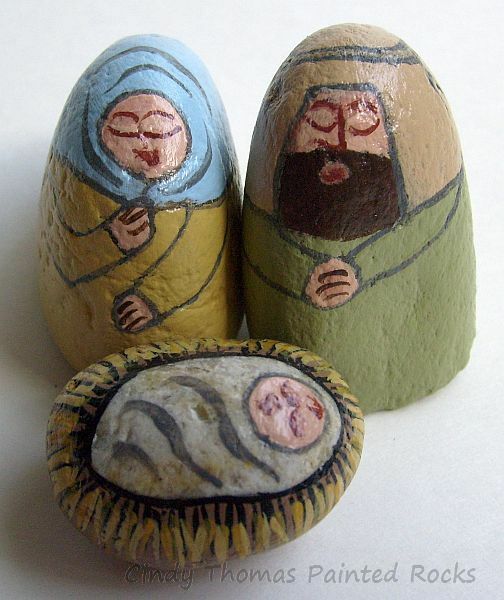 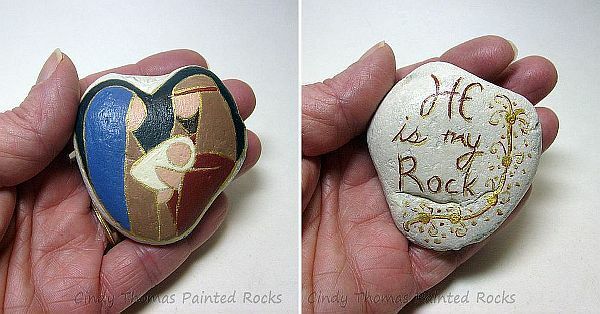 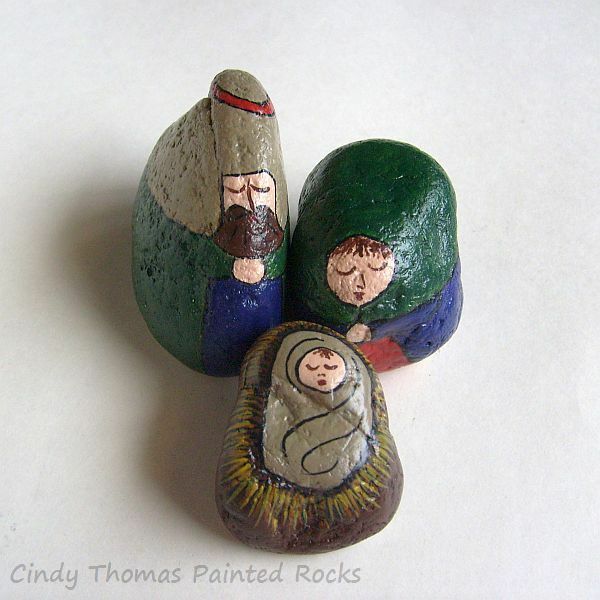 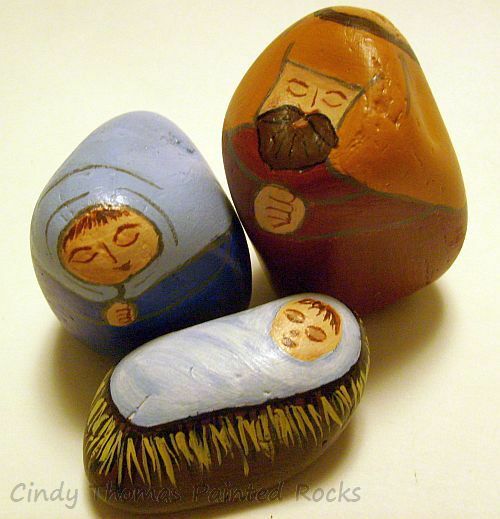 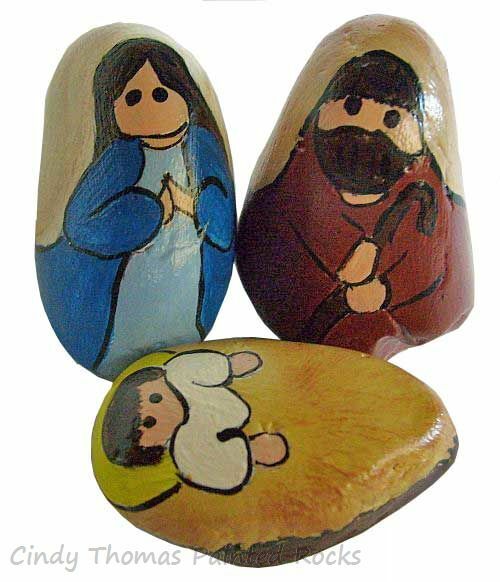 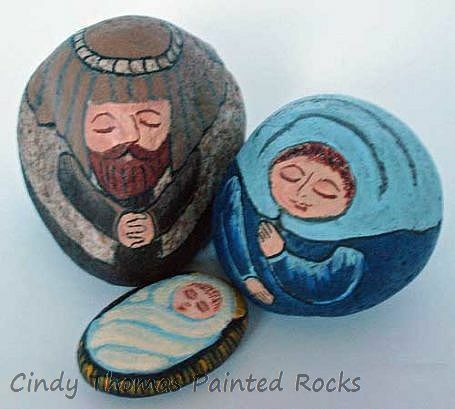 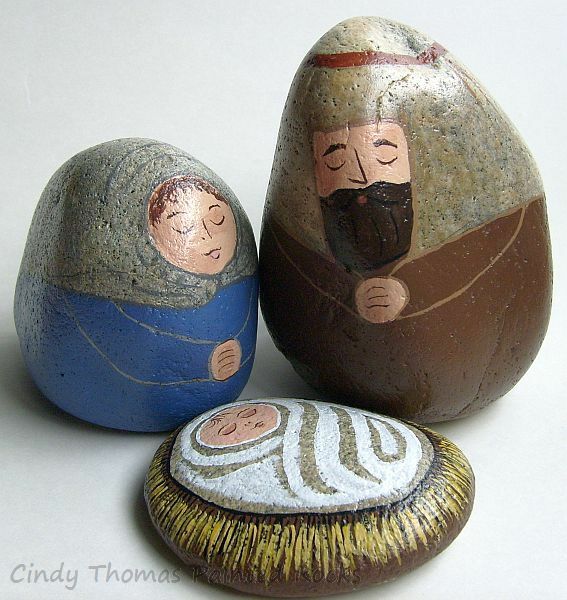 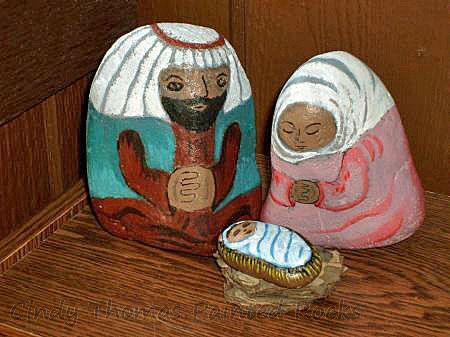 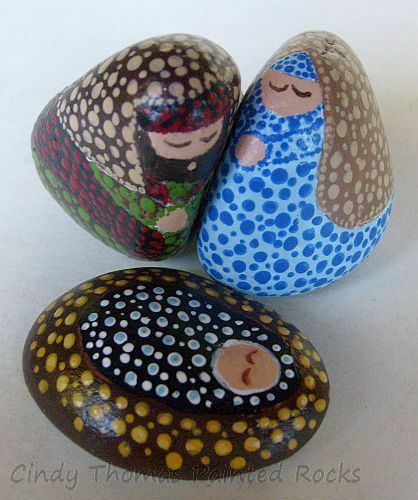 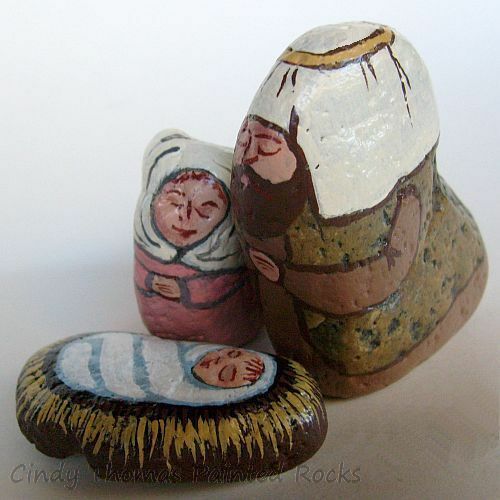 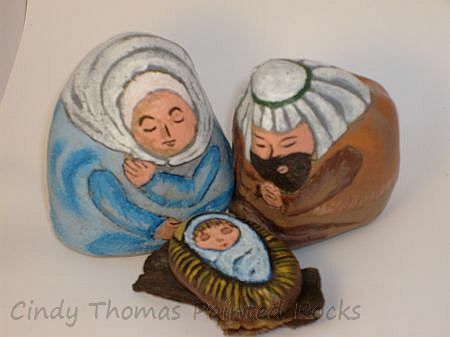 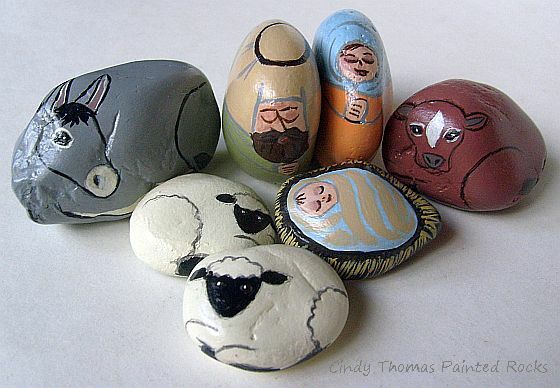 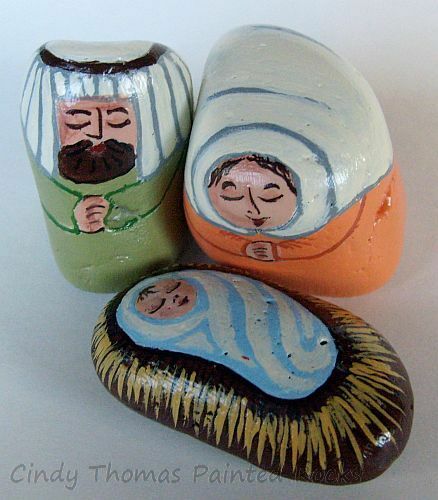 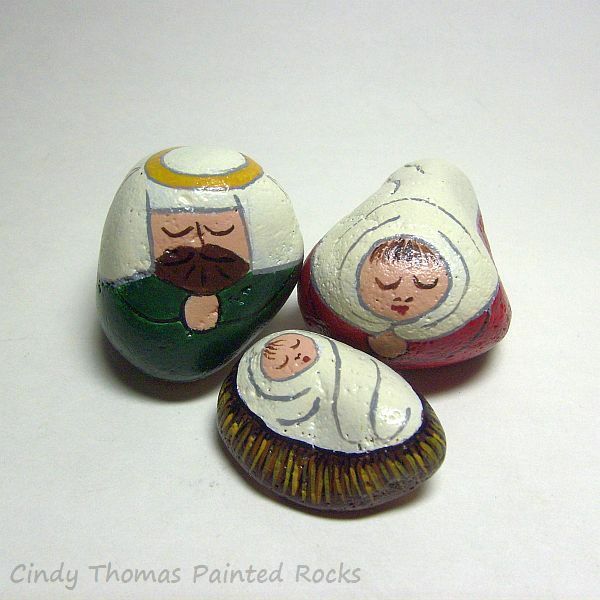 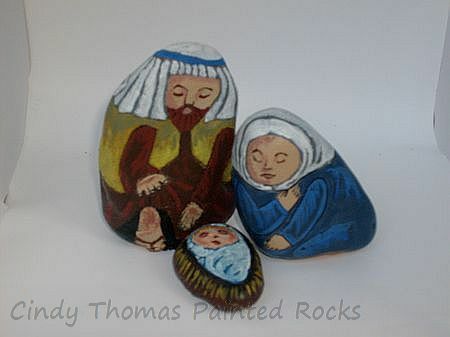 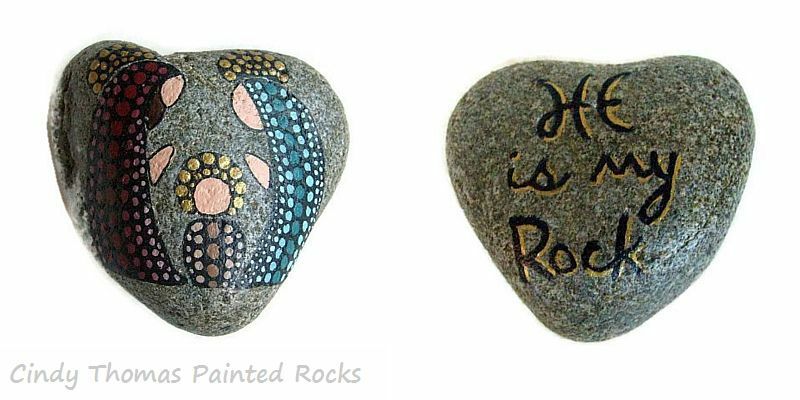 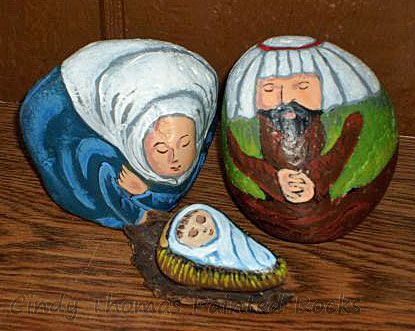 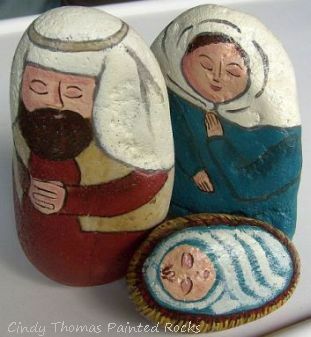 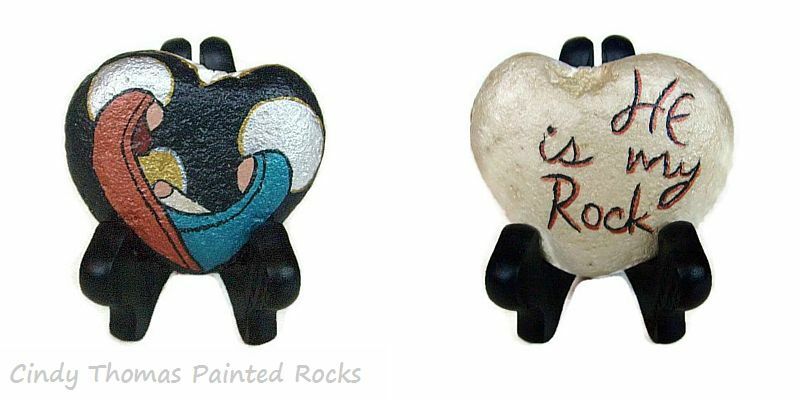 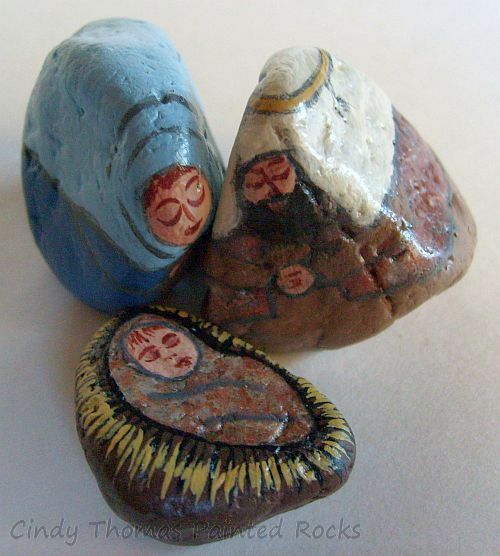 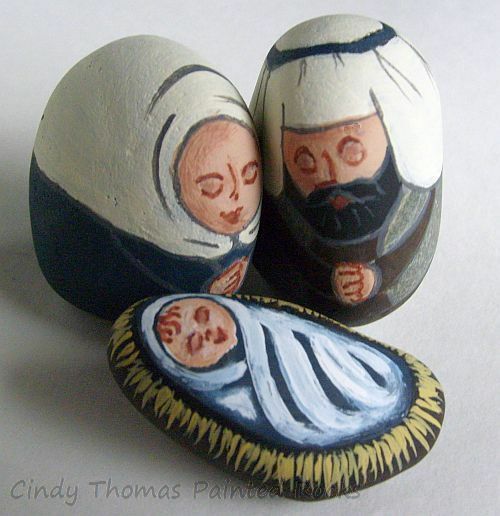 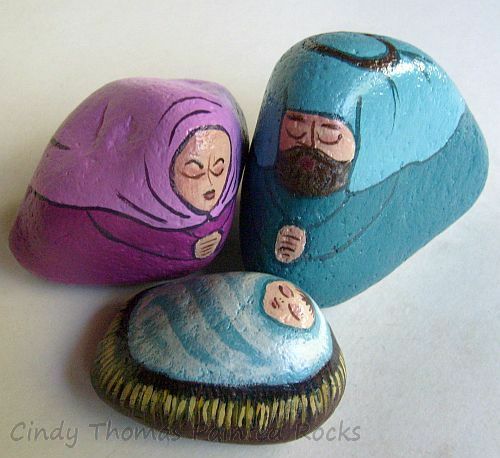 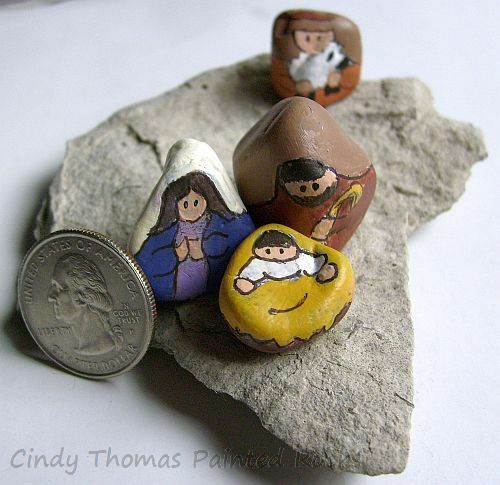 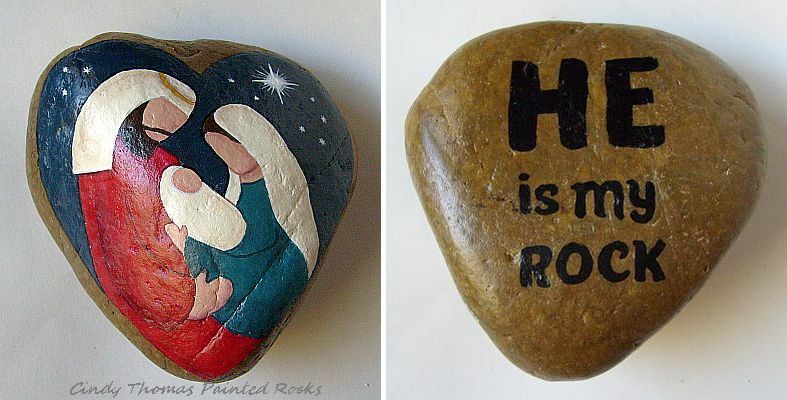 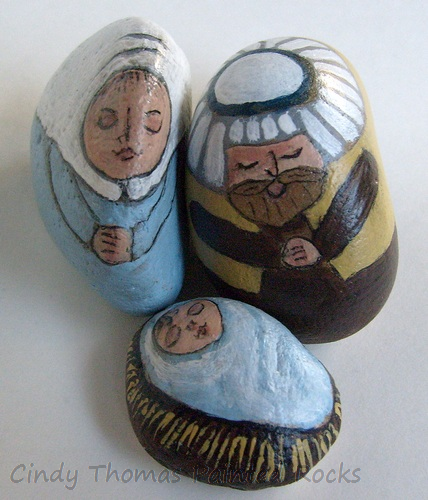 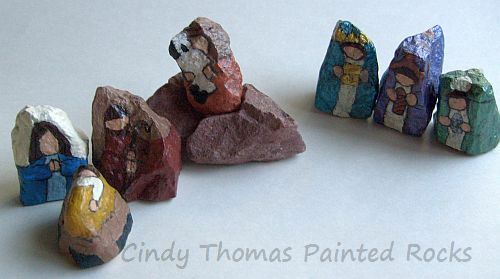 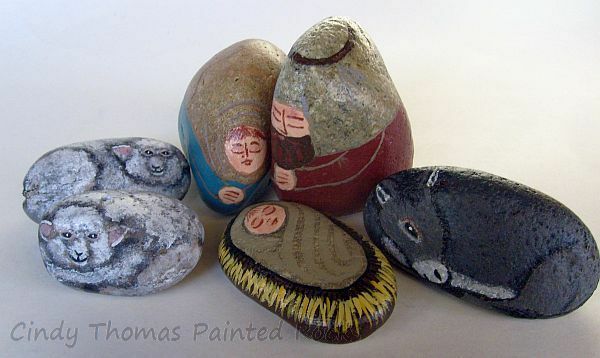 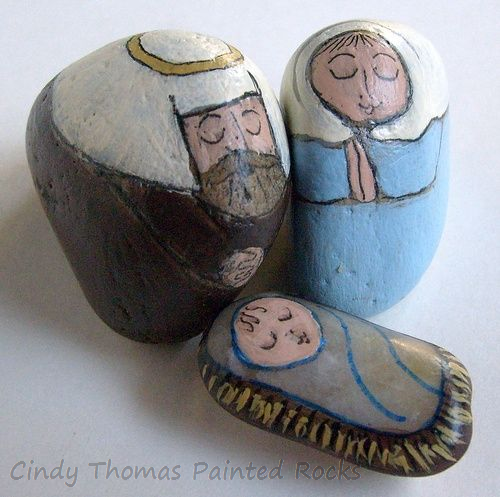 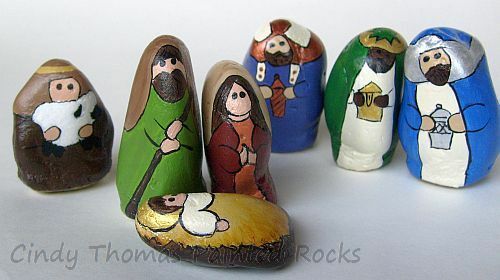 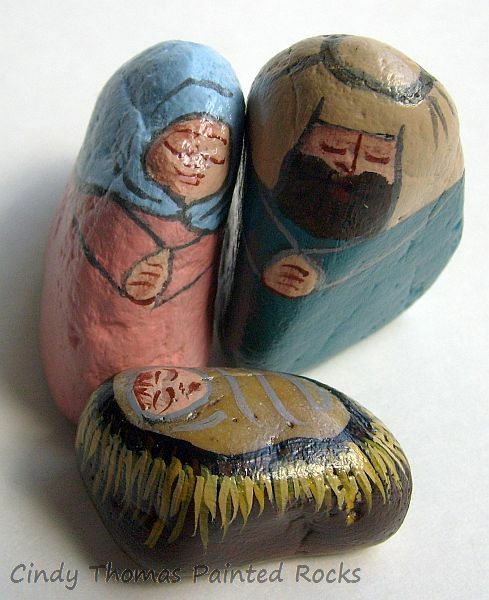 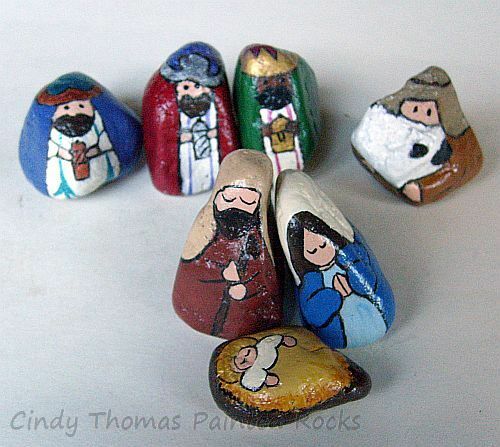 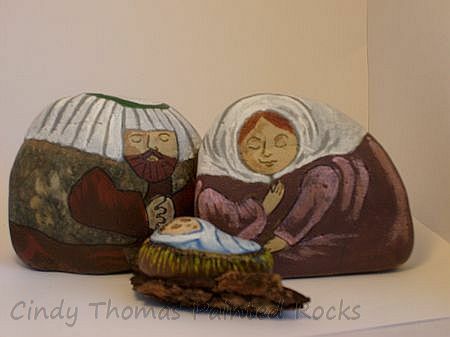 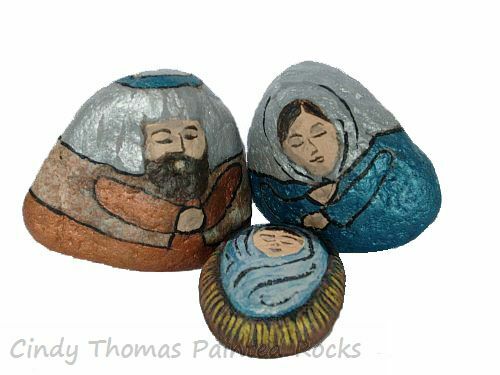 Click Here to see painted rock nativities available for purchase. 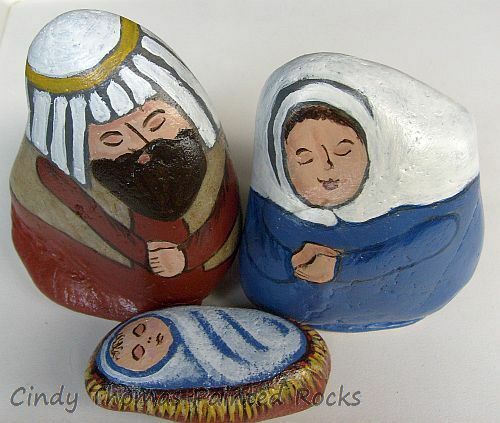 *At this time, I ship the hand-painted rock nativity sets only within the United States (including Alaska & Hawaii) using U.S. 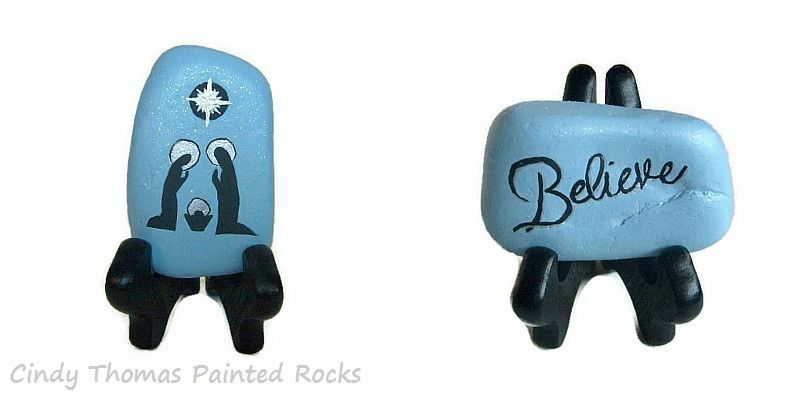 Priority Mail™ (except where noted in the product description). 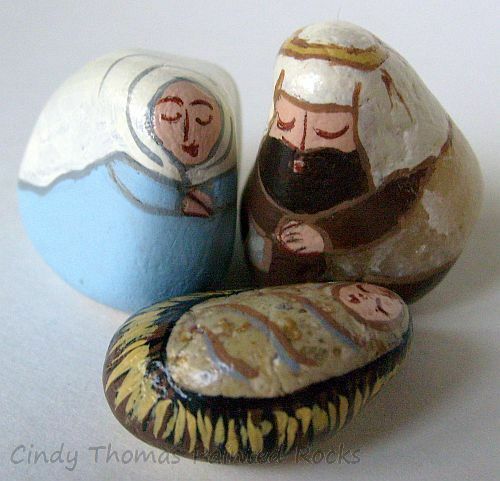 You'll receive Free Shipping along with delivery confirmation. 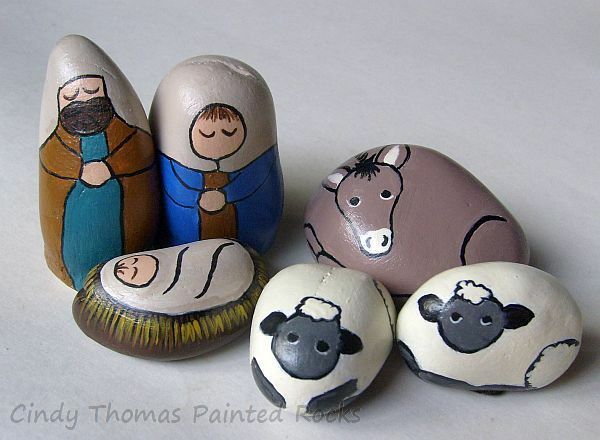 Because these are one-of-a-kind items, I am unable to guarantee that the nativity set you wish to purchase will still be available when you click the "buy now" button.